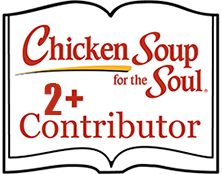 Karen Vincent Zizzo is also a contributing author to “Chicken Soup for the Soul – Touched by an Angel” released Oct. 2014 and available in bookstores. Her story is called “I Believe in Miracles.” Her next short spiritual story, “It Was Not Our Time” appeared in the Feb. 2015 release of “Chicken Soup for the Soul – Hope & Miracles”. 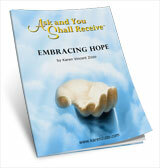 Karen continues to share very personal messages of faith, hope, love and the power of prayer through these stories. Karen Zizzo is an Author, Inspirational Speaker, and Mentor. Her passion is to inspire people to overcome obstacles in their lives. She generously shares a very personal message of HOPE with audiences and readers. Karen is affiliated with the National Speakers Association and travels internationally to deliver messages on the power of believing, the power of prayer, hope, faith and love. 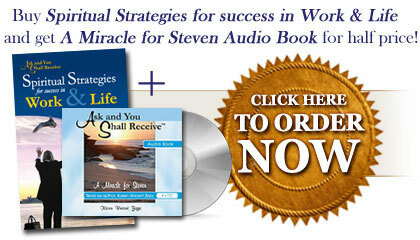 Once you meet Karen through reading the pages of her books; listening to her voice on audio tape; or watching her speak, you will feel that you will be able to cope with whatever life delivers to you with a positive attitude and a knowing that nothing is impossible as long as you Ask, Believe and are willing to Receive.